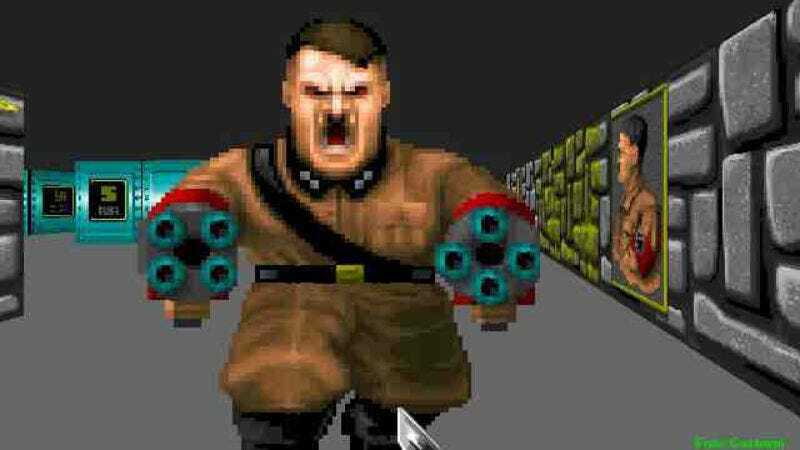 Sensing that a shared hatred of Nazis is the one thing that could bring this divided nation together again, Pulp Fiction screenwriter Roger Avary is attached to write and direct a big-screen adaptation of Castle Wolfenstein. Based on the video-game series that began as simple adventure titles before giving way to the influential first-person shooter Wolfenstein 3D, the film is grounded in territory familiar for Avary: Game adaptations (Avary helmed the first Silent Hill film) and playing second banana to Quentin Tarantino (the story, which concerns to two Allied agents storming the eponymous castle, is apparently more Inglorious Basterds than Stalag 17). No release date has been set, meaning Castle Wolfenstein’s eventual visual-effects team will have plenty of time to perfect the design of its armor-plated Hitler.